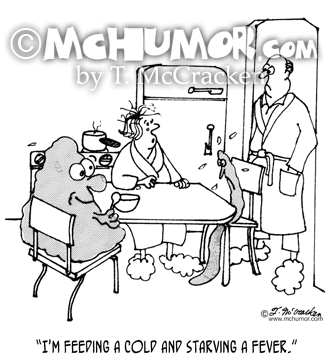 Medical Cartoon 3065: A woman with two humongous germs--one with a feast in front of it, the other a glass of water--sitting at her kitchen table says, "I'm feeding a cold and starving a fever." 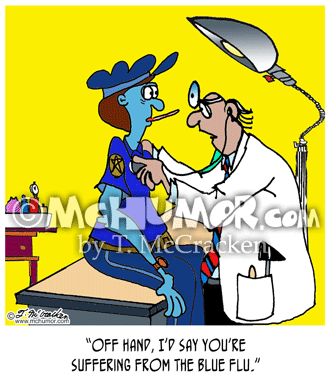 Medical Cartoon 6607: As a fellow sneezes and completely rearranges his face a woman says, "Bless you. 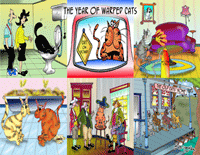 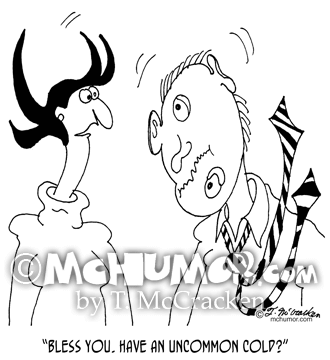 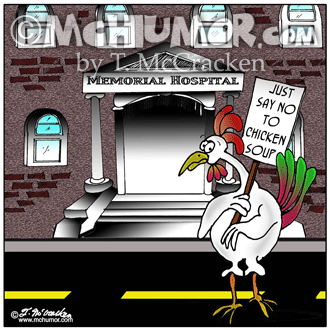 Have an uncommon cold?" 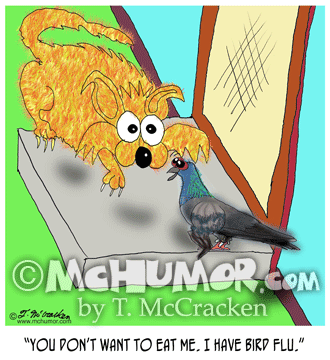 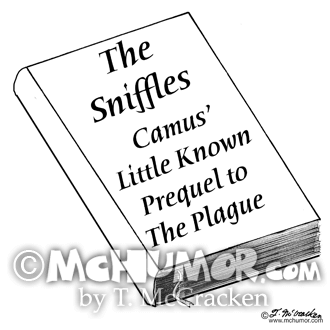 Flu Cartoon 7700: A book, "The Sniffles, Camus’ Little Known Prequel to The Plague." 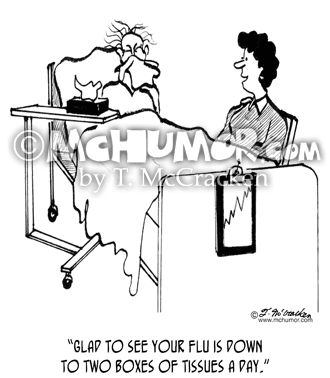 Medical Cartoon 2780: Someone saying to another who's sniffling, "Glad to see your flu is down to two boxes of tissues a day." 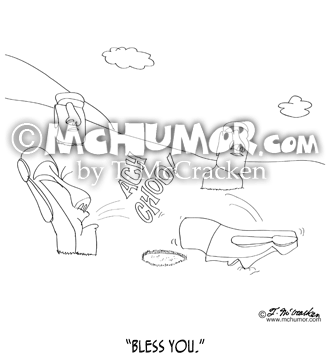 Easter Island Cartoon 9284: One of the statues on Easter Island sneezes, blowing over another statue that says, "Bless You." 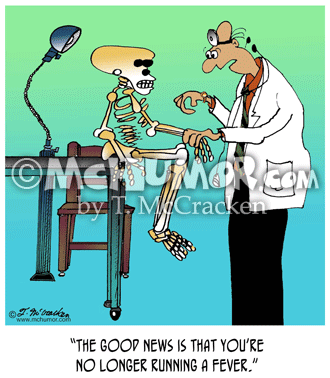 Medical Cartoon 8368: A doctor says to a patient who's just a skeleton, "The good news is that you're no longer running a fever."